Vitamin D May Reduce Risk Of Colds And Flu : Shots - Health News An analysis finds that if you're deficient in vitamin D, taking a supplement might cut your risk of respiratory infections. But there's disagreement on what's considered deficient. The National Academies of Science, Engineering and Medicine recommends that most adults get about 600 international units of vitamin D per day through food or supplements, increasing that dose to 800 IUs per day for those 70 or older. It's long been known that vitamin D helps protect our bones, but the question of whether taking vitamin D supplements helps guard immunity has been more controversial. An analysis published Wednesday suggests the sunshine vitamin can help reduce the risk of respiratory infections, including colds and flu — especially among people who don't get enough of the vitamin from diet or exposure to sunlight. Researchers pooled data from 25 studies that included more than 10,000 participants. 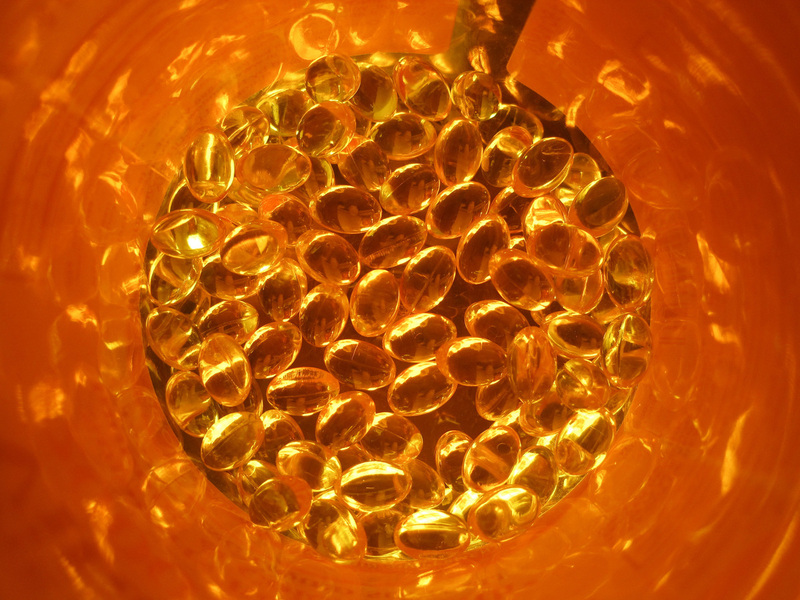 The studies looked at whether vitamin D supplements cut the number of infections. "We found that overall there was a modest protective effect," says Dr. Adrian Martineau, a clinical professor of respiratory infection and immunity at Queen Mary University of London who led the research team. Overall, he says, vitamin D supplements seemed to reduce the risk of infection about 10 percent. People who had been vitamin D deficient when they enrolled in the studies saw more benefit. Their risk of infection was cut in half, according to the findings. "What we found is that those with the lowest vitamin D levels experienced the greatest benefit from supplementation," Martineau says. Acute respiratory infections are responsible for millions of emergency department visits in the United States each year, says Carlos Camargo, a professor of epidemiology at Harvard Medical School and a senior author of the study. He says their findings support the notion that more foods should be fortified with vitamin D.
The U.S. has long fortified foods with vitamin D, including milk and other dairy products. Many food companies supplement orange juice products and cereals, too. And certain foods like sardines and other oily fish naturally contain significant levels of vitamin D. For instance, a serving of salmon can have almost a whole day's worth of vitamin D. And the body produces its own vitamin D when exposed to sunlight. So not everyone is convinced that this study should lead us all to the supplement aisle. According to recommendations from the Institute of Medicine, most adults need about 600 IU (international units) of vitamin D per day. Adults 70 years old and older are advised to increase their intake to 800 IUs per day. Many Americans don't routinely get this amount from their diets, so a multivitamin can help make up the shortfall. "The standard multivitamin has about 400 IUs," says Steven Abrams, a professor of pediatrics at the Dell Medical School at the University of Texas at Austin. He was a member of the Institute of Medicine panel that wrote the vitamin D recommendations for children and adults. Abrams says the guidelines, issued in 2010, were based on evidence that vitamin D helps protect bone health. "Now the controversy is whether there's enough evidence about other diseases to make [new] recommendations." Over the last 10 years, a number of studies have suggested that the sunshine vitamin can help prevent disease. That has led people to think that higher doses of supplements are better. But Abrams says he's not convinced there's a benefit of taking a supplement for people who are not deficient. "It needs further studies to confirm." Abrams says the importance of the new study is that it's a summary of 25 controlled trials. "And it shows that people with very low vitamin D [levels] do better when they're given supplements." He says this is not too surprising. "If you're deficient, getting an adequate amount will make a difference." In other words, if you're getting the recommended 600 IUs of vitamin D from your diet, a supplement may not lead to any further benefit. But the growing interest in vitamin D has lots of people curious about their levels. "Many of our patients come in and say: I want to be tested for vitamin D," says Monique Tello, a primary care doctor at Massachusetts General in Boston who has written about vitamin D levels. A lot of people suspect they're deficient, but she says determining the right level can be tricky. The IOM report estimated that a vitamin D blood level of 20 ng/mL or higher was adequate for good bone health, and that anything below that was deficient. But a 2011 guideline from the Endocrine Society says that people should consider a blood level of 30 ng/mL as the minimum. Contrast that with a study published last year in The New England Journal of Medicine, which says that both the IOM panel's and the Endocrine Society's cutoffs are too high, and that 12.5 ng/mL is an appropriate definition for deficiency. That was based on national survey data finding that less than 6 percent of Americans had vitamin D levels lower than 12.5. And in 2014, the U.S. Preventive Services Task Force said there's not enough evidence of benefit for all people to be routinely tested for vitamin D deficiency. Certain groups of people are at higher risk of vitamin D deficiency, including people with digestive disorders such as celiac disease and people who cover up most of their skin or get very little exposure to the sun. And pregnant and nursing women, as well as women with osteopenia or osteoporosis, often need more vitamin D to maintain bone health. "People [at higher risk] should get tested," Tello says. She says when a patient's blood screening test shows levels of vitamin D between 20 and 32 ng/ml, "I recommend that they take between 1,000 and 2,000 international units of vitamin D daily, indefinitely." Tello says that if a patient has a blood level below 20 ng/ml, then she usually recommends they temporarily take a higher dose of supplements. The Institute of Medicine says that adults shouldn't take more than 4,000 IU a day.